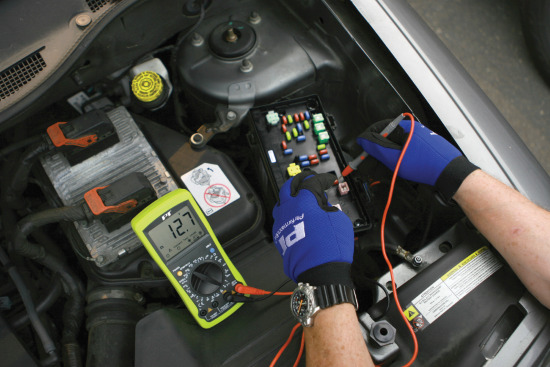 Performs all standard automotive electrical tests on the car or bench troubleshooting. 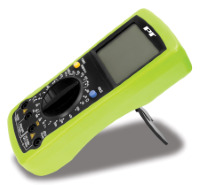 Measure and set typical automotive functions with the tach and dwell setting. 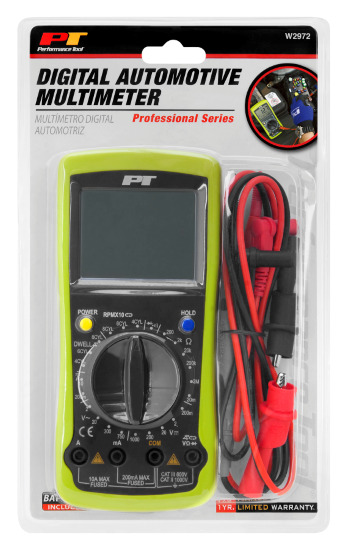 Check starting, charging and fuel delivery system voltage, and diode function. Extra-large easy-to-read digital LCD. UL listed leads and probes. Automatic reverse polarity indication. Overload protection on all ranges.